Yoga should be practiced from a very early age. There is a great advantage of practicing yoga since childhood. Kids naturally possess great energy. Their flexibility level is also phenomenal. Hence, they can grasp the yoga techniques quicker than the elders and thus can gain better advantages. Yoga doesn’t only help them in getting a fitter body, but also makes them sharp in studies. Regular practice of yoga makes the kids creative. It improves their concentration level and motivates for positive activities. Yoga develops the mindset of the kids in a quite constructive way, restricting the negative thoughts. If you have kids at home, enrolling them for our yoga practice programs at Hatha Yoga School would be the best recommendation. As explained above, yoga not only develops the kids physically, but also uplifts their intellect level. Enrolling your child for a Kids yoga program at any reputed institution would be the best way to guide their fickle mind in right direction. In general, kids love to stay indulged with various activities. They normally don’t sit quite other than during the hours of sleeping. At the same time, it’s also a fact that they get easily attracted towards negativities. To control such vibrant mindset and direct them in a constructive way, we have designed best courses of yoga for kids. These training programs helps them in growing with a good physique, improves their immunity, concentration, etc. Moreover, it boosts their creative instinct in a significant fashion. We at Hatha Yoga School Rishikesh have designed such programs keeping the various needs of the kids and their ability in mind. Good to see is that the modern day people have thoroughly realized the importance of yoga. People, irrespective of profession and age are practicing yoga. At the same time, they are also showing keen interest in making their kids involved with yoga activities. This has increased the demands of yoga teachers having expertise in teaching yoga to the kids. There is a great career scope for the kid’s yoga teachers. We at Hatha Yoga School Rishikeh provide the best courses of yoga for Kids teacher training. Powered by our immense experience and expertise, we guarantee about best yoga training. How can Yoga for Kids be helpful? Kids yoga classes in Rishikesh make them involved with various activities. No matter you want to improve the flexibility level of your kid or to boost their muscular growth, our programs can be absolutely fruitful. Regularly attaining the yoga classes for kids helps in improving their focus and makes them more confident. Moreover, we provide them the most appropriate environment to practice yoga with a lot of passion. Become a Yoga Teacher! Need More Info or Want to Register? We also have some practice exercises in our course, where the kids will have to remain quiet while being in the pose. Our yoga classes for kids should be conducted by the certified yoga instructors having years of practical experience. You should send your kids to only the schools having specialty in teaching yoga to kids. Make sure your child is physically fit enough to do the poses. Sessions of yoga exercises for kids should be conducted only during the free hours of the kids. There must be guides consistently observing the kids to ensure they don’t execute the poses wrongly. Children should also not be doing yoga excessively. It is always a nice idea of teaching yoga to kids in groups. One may take help of the videos and the light music as well for teaching yoga to the kids. Trainer must be having adequate experience in conducting childrens yoga teacher training sessions. Students should reach yoga class on time. Consumption of junk/fast food is strictly avoided. Must adore to yogic lifestyle. Daily practice of yoga poses at home also. Regular practice of meditation with light music in the background. Communicate or discuss about yoga philosophy to students. Yoga mats, blocks, straps and ropes. 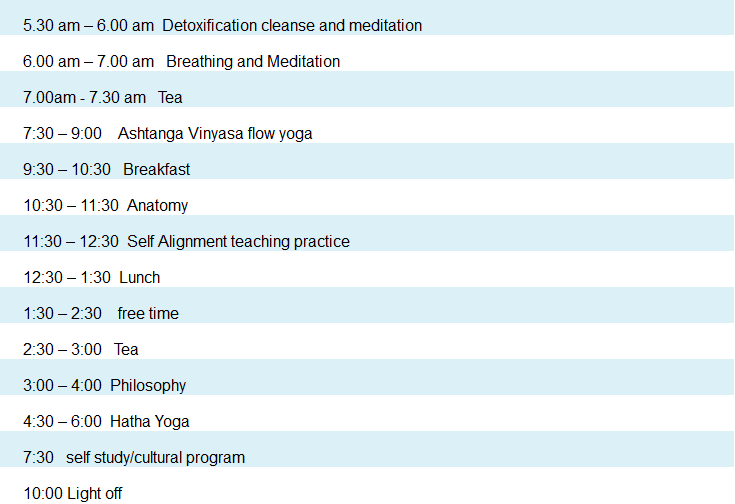 Light yogic food throughout the day, along with fruits. Light musical CD to play while practicing yoga. Certificate accredited to and recognized by Yoga Alliance USA, on completion of yoga course. My mom got me enrolled in ‘yoga for kids’ course. In the beginning I got bored by as I started learning various yoga poses, I started getting excited. With every passing day, the course became more and more interesting as I was able to learn new yoga poses and breathing techniques. I’m glad that I came here, and would urge my friends to do the same. We at Hatha Yoga School strategize the courses so that the yoga poses for kids can be learnt in an efficient fashion. We initiated this program for the first time at Hatha Yoga School with an aim of making the nation yoga empowered. This is so as we understand kids are the futures of every country. We conduct various activities of yoga for kids classes, which are meant to assess their potential and to grow them accordingly. These are meant to make them both physically and mentally strong. 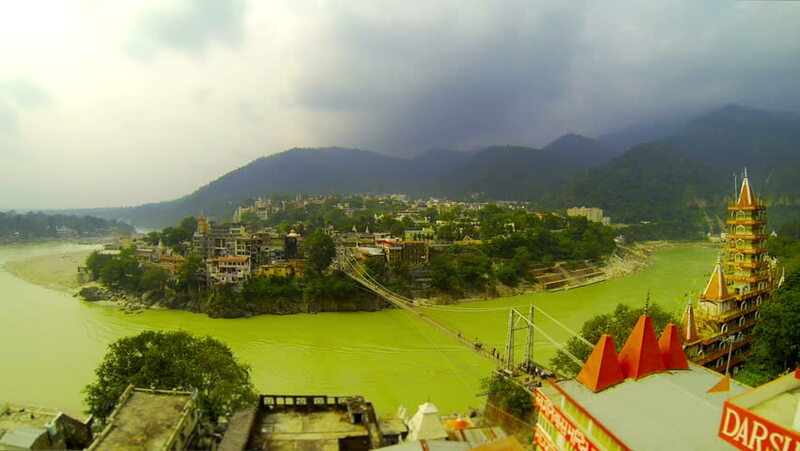 Rishikesh is blessed with incredible beauty and enchanting climate condition. This makes it the best destination for teaching yoga to children. Dedicated efforts boy Sivananda Yoga and our experts have made things even more enchanting for visitors to spend some time. We provide ashtanga yoga courses, 200 hours course, and other courses for beginners. At the same time, we also offer special programs of yoga for kid’s teacher training Rishikesh.